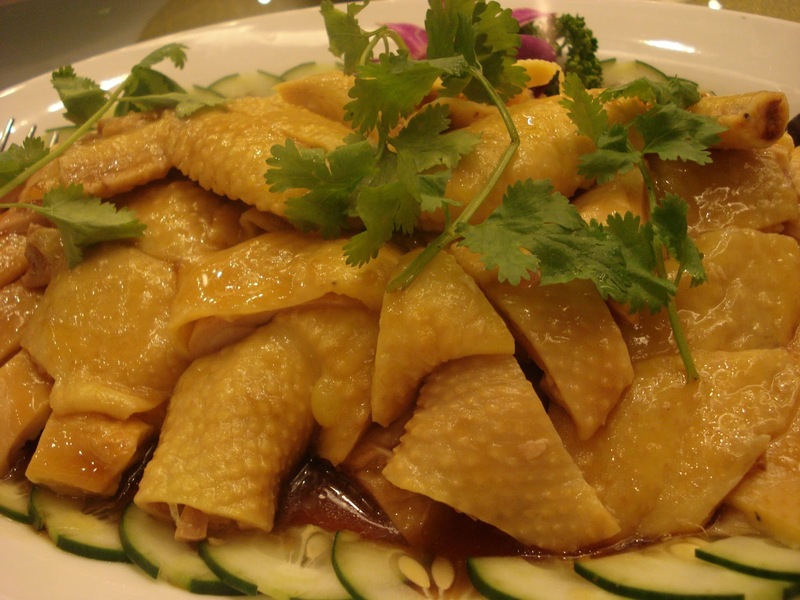 Since last year, I have been hearing about Tao Yuan and it's famous Hainanese Chicken. Luckily, we got an invite from my cousin-in-law F to have dinner there tonight in celebration of her adorable little girl's first birthday. Together with my in-laws, we headed to Newport City (Resorts World) at exactly 7PM as requested by F. I can't believe that at this time, the restaurant was already full and there was already a line waiting outside. Amazing! Dinner began with Assorted Cold Cuts. 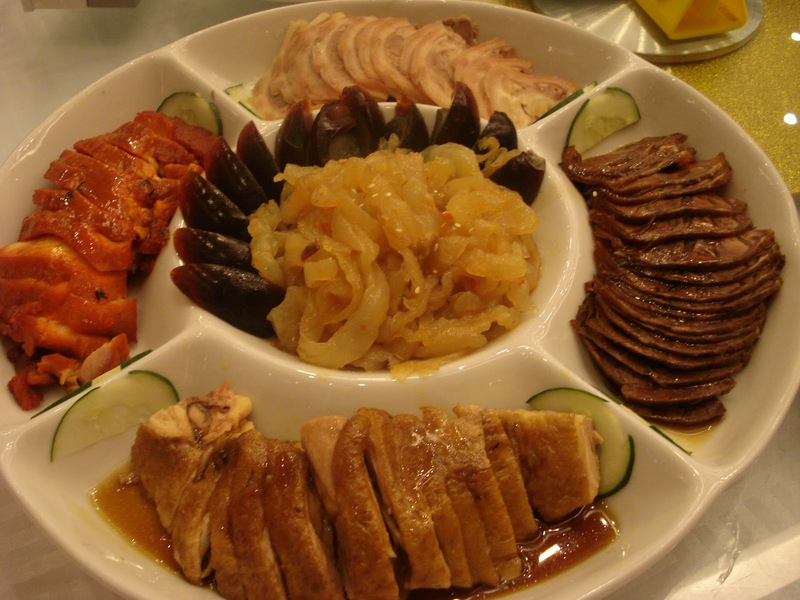 This is probably one of my favorite meal in any lauriat as I love jelly fish, century egg and cold pig intestines. I'm glad that the serving was pretty generous enough for almost everyone to have a second round. 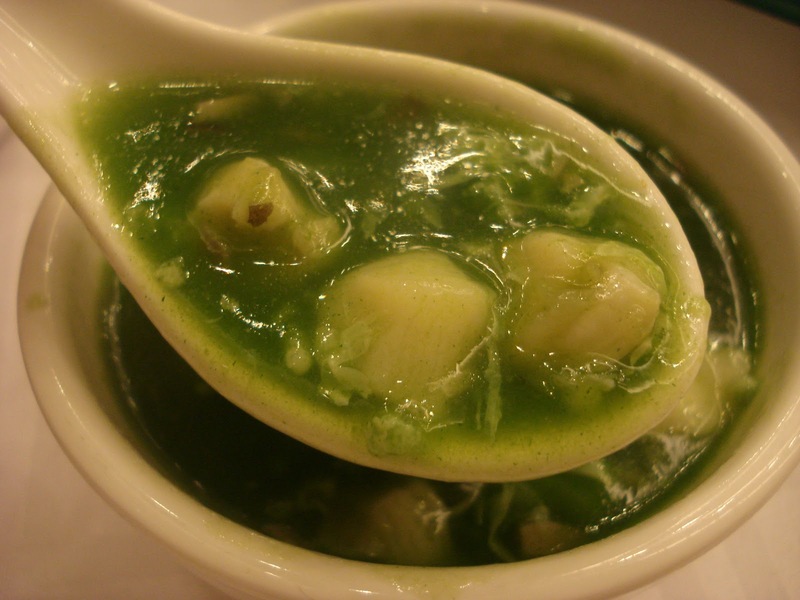 We had something that resembles that of a Spinach with Scallops soup earlier tonight. Note that we got a lot of scallops per serving. The soup was very refreshing and I enjoyed the tender fresh scallops in every slurp. Then the star of the show arrived -- the Hainanese Chicken with Rice. With high expectations, I took a bite of the cold chicken without even dipping it into the ginger oil. The meat was tender but I felt that we were mostly given wings which really just consists of skin and bones. To be honest, I think it fell short of my expectations as I have been told a dozen times how good it was and perhaps I had extremely high expectations for it. 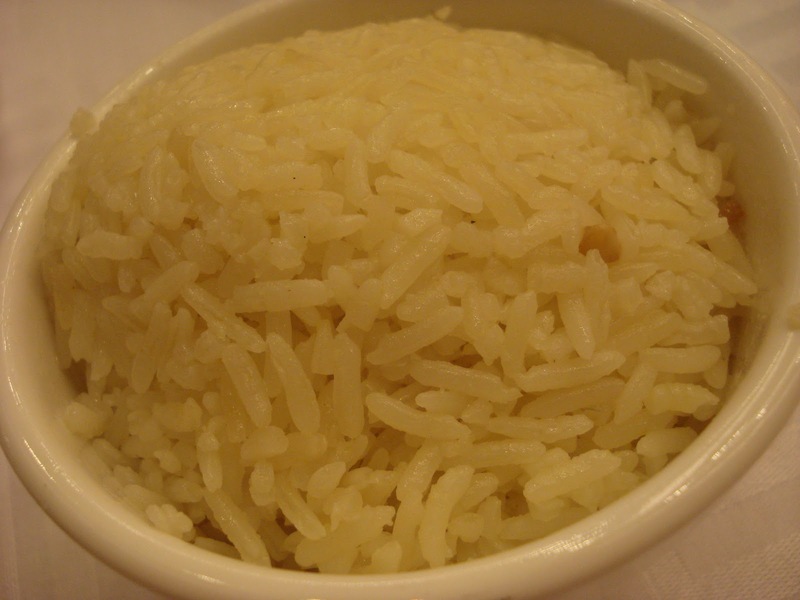 On the other hand though, the rice was very delicious. Flavorful and with just the right amount of oil, I could really finish off a bowl if I want to. It's one thing I would order again if I find myself in Tao Yuan next time. Our next dish was pretty popular among tonight's crowd -- Lapu lapu with Mango Sauce. 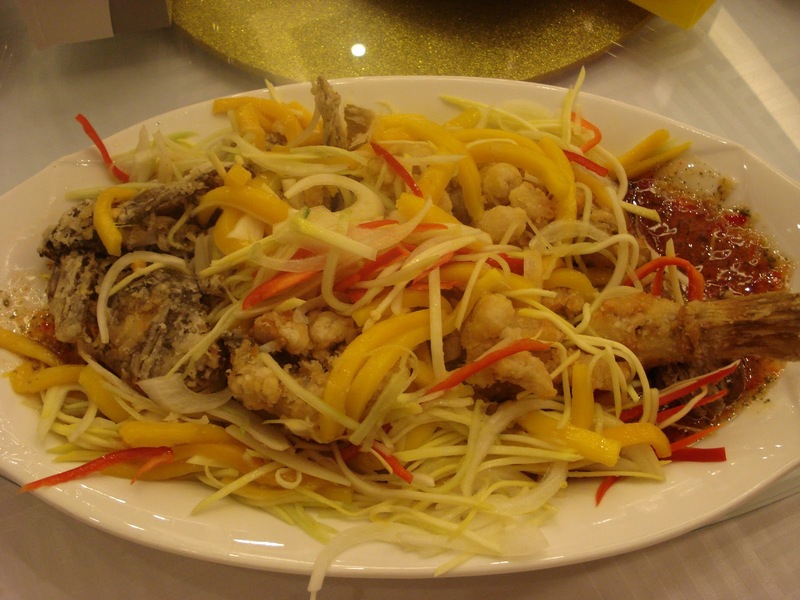 A very colorful dish consisting of fresh and green mangoes, red bell pepper and green onions. I've never had deep fried fish with tangy mangoes before. I love the contrast of the savory-sweet-sour flavors making this a very interesting dish. 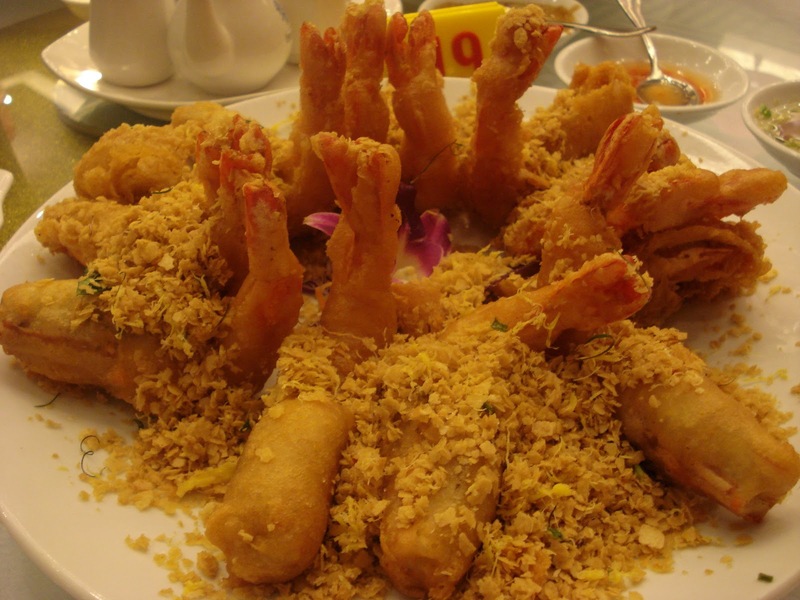 Aside from the Hainanese Chicken, Singapore is also proud of its Cereal Prawns. 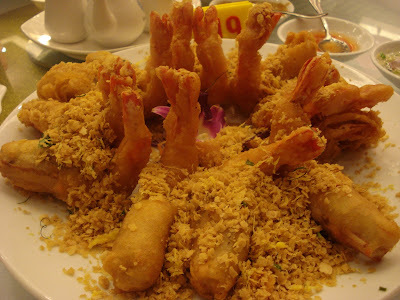 Unlike the ones that we had at Wee Nam Kee earlier this year, Tao Yuan's version had a thicker coating to the prawns and cereal flakes scattered on top. I had to remove the head as I am not fond of taking in all the cholesterol found in the prawn's head and settled for the plump juicy meat instead. While it may not be as authentic as expected, I enjoyed the delicious cereal flakes which goes well when sprinkled on top of your Hainanese rice. Last but not the least, we had the Char Kuay Teow. Another Singaporean favorite, this is one noodle dish that you can expect to find in almost every Singaporean eatery -- big or small, in the hawker center or in classy restaurants. 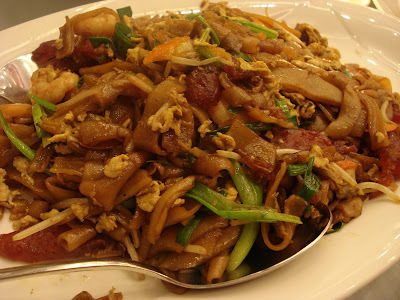 For me, I want my Char Kuay Teow not so oily, with a generous amount of crunchy spring beans and a mix of shrimps, egg and Chinese sausage. Tao Yuan's version wasn't so bad, it has all of the essential ingredients found in a Char Kuay Teow but I guess since we were all very full from such a hearty dinner, not everyone had space left for this one. It's worth trying, nonetheless. Tao Yuan is located at the 2nd level of the Resorts World Manila, Newport City in Pasay City. Call them at 659-3321 / 846-9998. Excited pa naman ako itry ang branch nila sa Resorts World since mas malapit sya samin. U think mas okay talaga pag sa Malate?